This is a backslash \. If you read the slash from left to right it starts at the top and goes down - hence it is a downslash. If you read the slash from top to bottom it starts on the left - which in our culture represents back direction - and continues to the right - which represents the forward direction. Hence it is a forward slash. So why do we call in a backslash? The reason for my question is that whenever I am not sure if I am looking at a forward slash or a backslash I am trying to reason about its direction which apparently fails. I believe that this classifies it as an usability problem. PS: I am deriving the meanings of the directions from things like direction of writing, clock dial, rulers, time scales, calendars, play buttons etc. Left is past, back, right is future, forward. Ancient Roman coins - Solidus and Denarius. The slash character came first, with a different formal name solidus. This name comes from Latin and was associated with coinage - hence (I guess) it's use in writing down prices in older currencies: 10/6 was quite a common notation for prices in British currency pre-decimalisation. The solidus mark probably indicates the first number is units of solidus, the second of denarius. Or in the British case: shillings and pence. 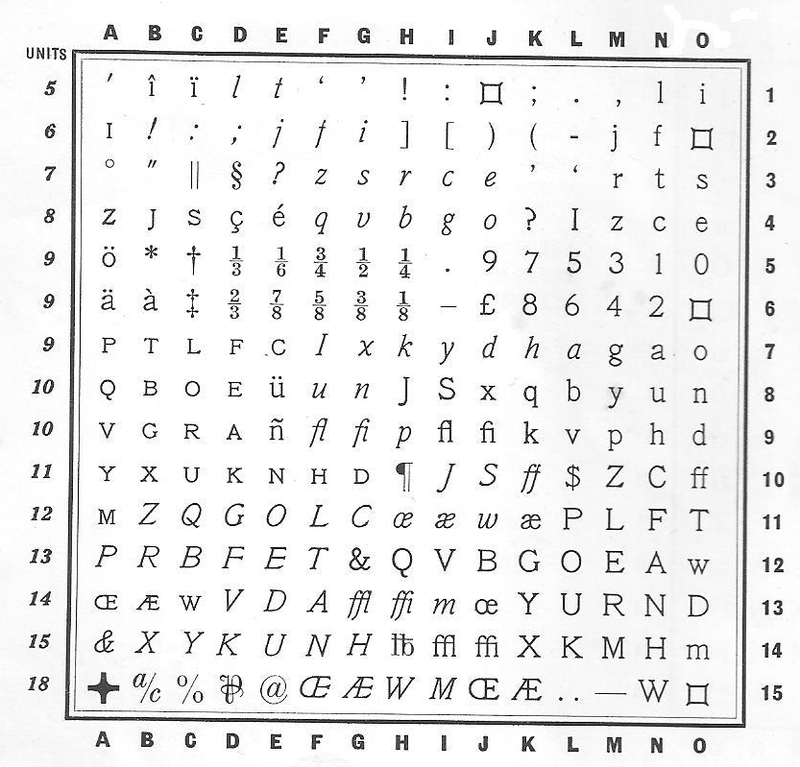 Note common first letter abbreviations s and d were used in Britain (also £ is L for Latin libra). The slash (or solidus) was around for a very very long time before the reversed version was invented. The reversed version therefore acquired the more informal name back-slash to indicate a reversed form of slash. The name "forward slash" has probably evolved since the general public started to use computer keyboards incorporating two characters that look like a slash. There was a need to disambiguate slash for people who didn't learn about computers in a formal teaching context. The history of the slash and the comma are intimately intertwined. Both have been used to separate items of text or to separate numbers with different units. In some European countries it is normal to use the comma where others use a decimal point - to separate whole units from decimal fractions. So you might see €5,60 as a price. The comma serving much the same role as the slash (or solidus) in 10/6. I have also seen the reverse stated, that the slash is derived from the comma. 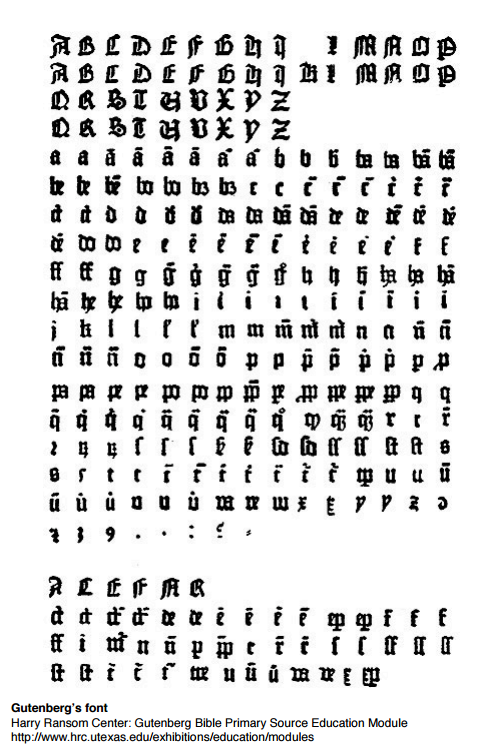 I believe that the earliest movable-type printing presses, as used by Johannes Gutenberg used commas in some situations where we would today normally use slashes. So his fonts did not have slashes, only commas. 1899 - Adler typewriter company. No slashes or backslashes in moveable type typography? But note the comma. So it is clear that the name backslash was introduced to indicate a novel character that was the reversed version of a long established character. The name forward slash therefore subsequently became needed to disambiguate the name for the earlier character. You have a stick, |, in your mind (AKA a pipe character). Font features can be grouped as thickness, slant and width as in Google fonts. The natural way of writing is to lean forward which is named as slant. : "slant, n.¹", Oxford English Dictionary, 1st ed., Oxford: Oxford University Press, 1911. Because slashes (/) were around long before their backwards counterpart came along. The / symbol was around for centuries before it got this name, which (I'm guessing) contributed to it getting the unmarked "slash" name while the novel \ got the marked "backslash" name. Bob Bemer introduced the "\" character into ASCIIon September 18, 1961,as the result of character frequency studies. In particular the \ was introduced so that the ALGOL boolean operators ∧ (AND) and ∨ (OR) could be composed in ASCII as "/\" and "\/" respectively. Both these operators were included in early versions of the C programming language supplied with Unix V6, Unix V7 and more currently BSD 2.11. The reason you're confused is because you're using the wrong definition of "back". Or rather, the wrong reference frame to apply the word "back" to. The word "back", apart from meaning the opposite of forward, actually itself can simply mean "the opposite direction". There is no "Forward Slash"
Technically, "forward slash" did not exist. It only came about retroactively after the term "backslash" was coined. The original name for "forward slash" was simply "slash". It is with reference to slash that the word "back" was applied. It simply means "reverse slash". So, if backslash means reverse-slash, how to know which direction "slash" slants to? place: No. 10, 14/24 street, Section 14, Petaling Jaya. So that's what I use to remember "slash" - it's what people normally use: "/". So "backslash" is what people don't normally use" "\". The verb to slash comes from the Middle French esclachier and means to cut with a single sweeping motion. If you hold a knife or sword and slash something in front of you like a curtain or an enemy, and you are right handed like most people, the wound will be from top right to bottom left. Think of the middle part of the Z in Zorro. Back means the other way. My mnemonic for recalling this is to visualize the slash as a person viewed from the side. The person would face forward in the direction of reading with the head at the top and feet at the bottom of the written line. A pipe | stands straight while a backslash \ leans back. Alternatively I (dimly) recall that a slash follows handwritten forward slanting, and a backslash crosses that, as has been mentioned. If you are right handed, \ is annoying to write, while / is easier, which is why / became the separator symbol of choice in the days before computers and typewriters. It came to be called slash. In a UX sense, the canonical name is given to the more common variant, which is more common because it is more ergonomic. \ looks like the a slash that's backwards, so presumably this is why it came to be called a backslash. I would be very frightened of encountering these supposed persons who engage in arguments over which way the backslash points. But in any case, the point is not which way it points. The symbols are opposites of each other, so you pick a dominant one and define the other in relation to the dominant. Clearly / makes more sense to choose as the dominant symbol: It is easier to write, it is more common, it has more meanings and is appropriate in more contexts than \, not to mention that it is older. The answer to this question is hidden in the mists of time, but I, your intrepid explorer, have braved the journey and returned to supply you with the One True Etymology for "backslash". I have not literally traveled back in time. The common way of referring to a quantity of currency less than a pound was with the word "and". For example, two shillings and threepence would be called "two and three". This was written with a / mark, for example 2/3. Now, the & got angry. It had long been used for "and", and it maintained that if people say "two and three" then they should write 2&3. It went over to the 2/3 and tried to pull the / out. But the figures (digits) liked the /: it was nice and slender, and they were afraid that they would be too crowded with an &. So they hung on to the /, not allowing the & to pull it out. So the & came up with another plan. It went to the Queen and tried to plead its case. It wanted the government to introduce a public bill to Parliament mandating that shillings-and-pence amounts be written using & only and never /. The Queen thought it was a grand idea and set her Chancellor of the Exchequer, Peter Thorneycroft, on it. Well, the bill failed to pass. But while it was in process in Parliament, Thorneycroft got really into the idea, and set about enforcing it before it even became law. (This is why he wound up resigning his position.) He sent his employees around to all the shops with instructions to whip the chest of anyone who was seen writing 2/3. The chest was chosen because it was most convenient: the government employee was in front of the person, so he could see him writing, so he whipped his front. At that time, the / became known as a "front's lash". So naturally the \ was called a "back's lash". Computers used it and 'invented' it because they wanted a character that was NOT currently being used in normal language. / = Forward Slash -> top pointing right, so "forward"
\ = Backslash -> top pointing left, so "backward"
Is the mental model of time advancing to the right in charts globally accepted? Why is it called a breadcrumb? What is the top navigation called when it is common to a network or suite of websites? Is there a word for left-to-right and top-to-bottom? When did UX start being called UX? Why do we say we “browse” to a place on the Internet when we actually download a web server’s content to our browser? What's it called when a post 'brings' in multimedia content from another site, like YouTube or Flickr? Why is it called the fold? What is a term users can understand when leaving Edit mode?